Retirees and conservative investors seeking a clear analysis of the pros and cons of index annuities are in the right place. We will look at the pros and cons of index annuities in greater detail on this page. Index annuities have gained in popularity for many good reasons. In this section we will consider seven different compelling reasons to seriously consider adding them to your retirement strategy and portfolio. One of the greatest advantages to Fixed Index Annuities is that they create earnings that grow tax deferred. Income taxes are not due on gains until they are withdrawn from the annuity. Index annuities can be purchased with after-tax investment dollars and shield the growth of assets from taxes. The greatest appeal of Index Annuities to most people saving for retirement is that they can not lose money regardless of what happens in the stock markets. The insurance company will invest the premiums from the annuities into a proprietary mix of safe investments. Next they back this up with their own considerable financial reserves. This gives the invested money great protection and a solid guarantee that individuals planning for retirement need to be able to count on as they approach the years in which they will require payments to be made. It is not just the principal that is guaranteed by the insurance company contract in an annuity. Interest that has been credited to the account also enjoys this loss protection guarantee. Such safeguarded principal and earnings protection is an invaluable advantage to have as market volatility and setbacks arise from time to time. It is important to compare apples to apples with annuities and surrender periods. Other safe money investments like annuities have these surrender periods that tie up the funds for certain preset periods of time. Both government bonds and certificates of deposits include longer-term commitments. The difference between them and the annuities is that with annuities, it is possible to access some funds while gaining protection from the risk of interest rates that plague bonds much of the time. One of the primary advantages of index annuities over variable annuities is that variable annuities do not offer protection from losses. Variable contracts offer participation in the gains of equities markets, but they also had exposure to market losses. With Fixed Index Annuities though, investors have participation in selected underlying stock market indices, without downside risk. The are a host of crediting methods and options in the contract that will determine what percentage of the potential underlying market gains that annuities holders actually receive. It allows for investors in annuities to access significantly higher yields than traditional and rival safe haven assets can deliver. Like Emerging Markets? 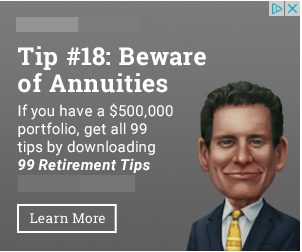 There’s an annuity for that. Interested investors have a wide range of underlying index and markets to chose from. The rates and crediting methods all vary as well but whatever your preference, the annuity market will offer some sort of option that suits your fancy. Consumers and investors have a long-standing trust in the financial strength of insurance companies in America today. This stems from their often hundreds of years of reliability, financial dependability, and profitability that other industries and firms simply can not match. All principal and earnings of Fixed Index Annuities are guaranteed by a contract provided by the issuing insurance company. Besides this inherently powerful contractual guarantee, the insurance companies that issue annuities are required by law to set aside substantial reserves. These will cover any possible claims policyholders could bring in an unlikely scenario. So when an underlying index on a given Fixed Index Annuity declines, even significantly, the principal remains intact and the interest for the year is zero percent. It is never negative or a loss. This explains why there are so many individuals who feel like they need annuities today. There is a price to pay for the safety that these Fixed Index Annuities provide. A reduced and capped growth is this price that annuity holders must accept. Some investors will feel that this is too high a cost to bear. This downside is primarily applicable to index annuities with income riders. In order to secure the monthly income you desire, you may feel that the initial premium is too high. As we talk about in the Truth About Hybrid Index Annuities, these income rider products are not always the most efficient way to generate lifetime income. Because the majority of interest credits only a single time each year, the potential earnings often rely on the final market results from one or several days. If the markets were to sharply decline towards the conclusion of the crediting period, this could eliminate the majority of anticipated gains. Potential investors in these annuities need to be comfortable with the lengthy surrender periods that many of these annuities require. While good growth oriented index annuities have short surrender schedules (3 to 7 years), more complex income rider contracts may have surrender schedules as long as 15 years. Early withdrawals are allowed, and without penalty, but if you need to surrender, it can be costly. No honest broker or insurance company will try to tell would-be investors that the crediting methods for Index Annuities are simple. Quite the opposite. Crediting methods can be shockingly complicated thanks to all of the many strategies and options on offer. This is why it makes real sense to have a clear idea of what you need, before getting into the details. The majority of Fixed Index Annuities today come with limiting caps on the performance results for the underlying market index. The annuity holder will receive interest paid on the annuity balance as a result of the market performance, but subject to caps, participation rates, or a spread. As with anything, there is a price for the safety and other benefits, like downside protection. Index Annuities do safeguard against portfolio declines, but they are not foolproof. Inflation is the erosion of purchasing power and if you buy an income rider on a fixed index annuity contract that has a level income benefit, you may find that over time that monthly check buys less and less. Will he guarantee your money? No Way! While it’s important to keep in mind several downsides to Fixed Index Annuities, remember that first and foremost you are buying safety. What money manager is willing to guarantee that you will never lose money? Not this guy you see all over the web!